I want to say a HUGE Congrats and Thank you!! 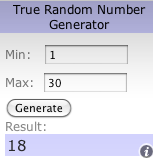 to everyone who entered the recent giveaways over here on my blog. :) Thanks joining me! It definitely makes it a fun experience! I've already contacted the winners. Do you have any tips or tricks that help your children get ready for the new school year?